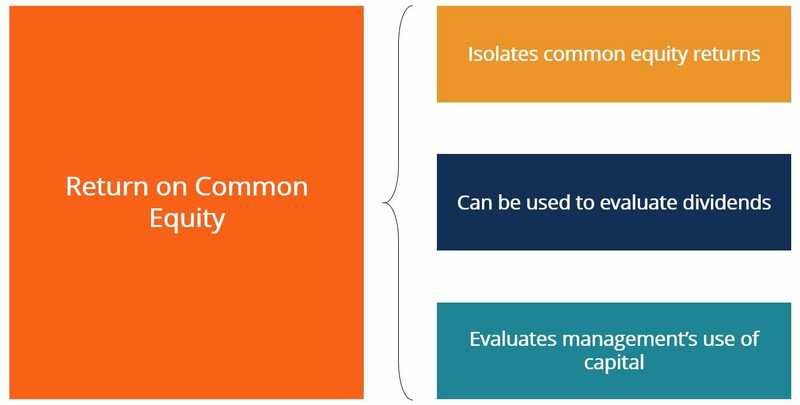 What is Return on Common Equity? The Return on Common Equity (ROCE) ratio refers to the return that common equity investors receive on their investment. ROCE is different from Return on Equity (ROE)Return on Equity (ROE)Return on Equity (ROE) is a measure of a company’s profitability that takes a company’s annual return (net income) divided by the value of its total shareholders' equity (i.e. 12%). ROE combines the income statement and the balance sheet as the net income or profit is compared to the shareholders’ equity. in that it isolates the return that the company sees on its common equity, rather than measure the total returns that the company generated on all of its equity. Capital received from investors as preferred equityPreferred SharesPreferred shares (preferred stock, preference shares) are the class of stock ownership in a corporation that has a priority claim on the company’s assets over common stock shares. The shares are more senior than common stock but are more junior relative to debt, such as bonds. is excluded from this calculation, thus making the ratio more representative of common equity investor returns. Return on Common Equity is used by some investors to assess the likelihood and size of dividendsDividendA dividend is the share of profits a shareholder receives, made on behalf of the corporation. When a company genearates a profit and accumulates retained earnings, those earnings can be either reinvested in the business or paid out to shareholders as a dividend. Types include: cash, common, preferred, stock, property that the company may pay out in the future. A high ROCE indicates the company is generating high profits from its equity investments, thus making dividend payouts more likely. The ROCE ratio can also be used to evaluate how well the company’s management has utilized equity capital to generate values. A high ROCE suggests that the company’s management is making good use of equity capital by investing in NPV-positive projects. This should create more value for the company’s shareholders. As discussed above, the ratio can be used to assess future dividends and management’s use of common equity capital. However, it is not a perfect measure, since a high ROCE can be misleading. Dividends are discretionary, meaning that a company is not under legal obligation to pay dividends to common equity shareholders. Whether a company pays out dividends often depends on where the company is in its lifecycle. An early-stage company is likely to reinvest its earnings in growing the business, such as funding R&DResearch and Development (R&D)Research and Development (R&D) is a process by which a company obtains new knowledge and works on the introduction and improvement of its products and for new products. A more mature company that is already profitable may choose to disburse its earnings as dividends to keep investors happy. In terms of assessing management’s use of equity capital, analysts and investors should exercise caution in using the ROCE ratio. It is important to note that, just like ROE, ROCE can easily be overstated. Suppose that a company chooses to pursue an NPV-positive opportunity and funds the project with debt capital. The project pays off and the company sees its net income figure rise. 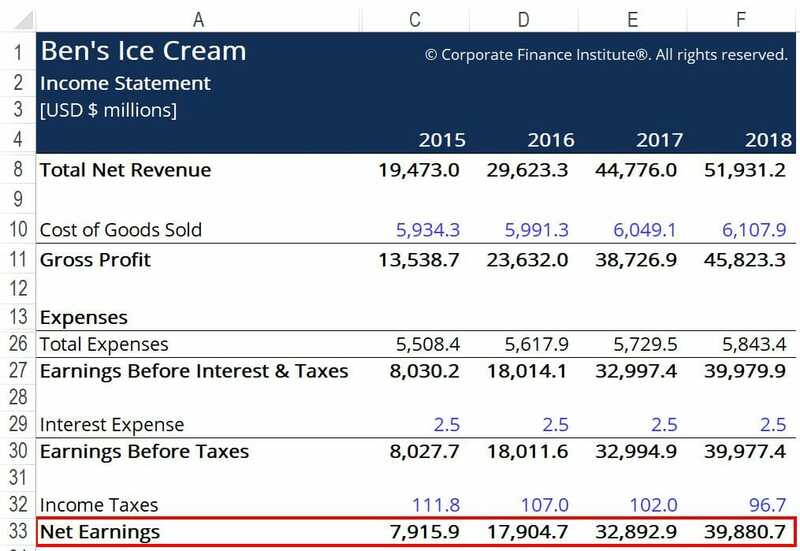 In this scenario, ROCE would increase by a fair margin since the amount of outstanding common equity has not changed, but net income has increased. However, the rise in net income was not due to management’s effective use of equity capital. Instead, it was simply due to management’s use of funds in general. In some cases, management bonuses are tied to hitting certain Return on Common Equity levels. Because of that fact, management may be tempted to take actions that inflate the ratio. The return on common equity has been consistently trending up from 2015-2017 before dipping in 2018 due to a large equity issue.